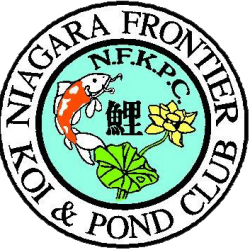 Our club meets the 2nd Friday of month @ 7pm in a very friendly atmosphere at the Zion United Church of Christ, 15 Koenig Cir in Tonawanda, New York. Need directions? Click here. You do not have to be a member to attend, we ask that you consider joining the club after your third visit. Family membership is $25 for a year. Monthly meetings provide a variety of activities, featured speakers, raffles, auctions, refreshments as well as an opportunity to meet other enthusiasts. At our monthly meetings, guest speakers frequently share information pertinent to our hobby through lectures, slide shows, and demonstrations, followed by question and answer periods. 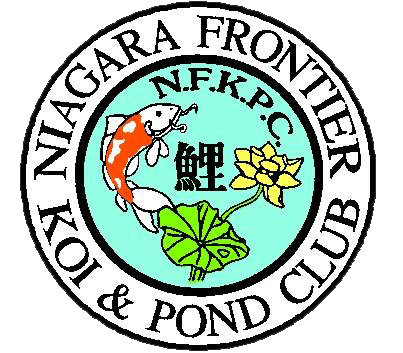 Annual pond tours, koi show, spring mega-auction, summer picnic and holiday party our club has it all! Members have access to an extensive library of periodicals, books, videos, and, most importantly, people who possess incredibly helpful information. There are currently about 77 members, Buffalo and surrounding counties. Click here to print our membership application.